Attention is a song by American singer Charlie Puth. He is also a composer and producer of the song for Attention. The song debuted on April 21, 2017, quickly gaining popularity among music fans and fans. In addition, the user downloads the ringtones Attention to the phone with pop – rock – funk mix that is very creative and attractive. 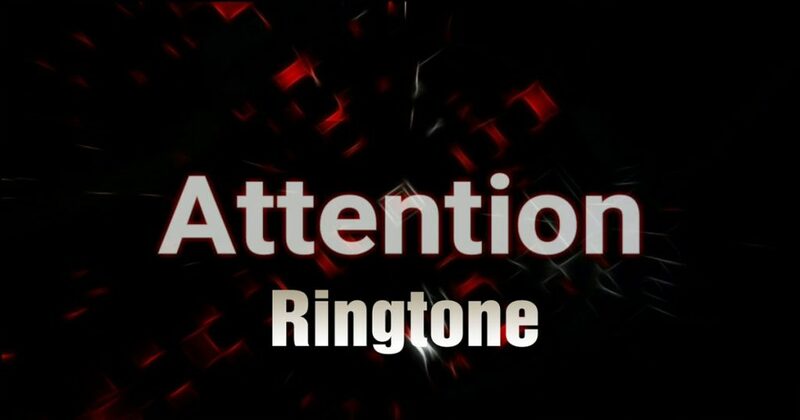 Attention (Ringtone) – Charlie Puth uploaded to Iringtones.net by YoungT Lee to English ringtones. Listen and download ringtones Attention – Charlie Puth mp3 and m4r format for android and ios. You can also upload your favorite ringtone and adjust it then download it for free to your phone. ‘Cause you knew that I, knew that I, knew that I’d be at one, oh…………..
Justin: what do u mean?